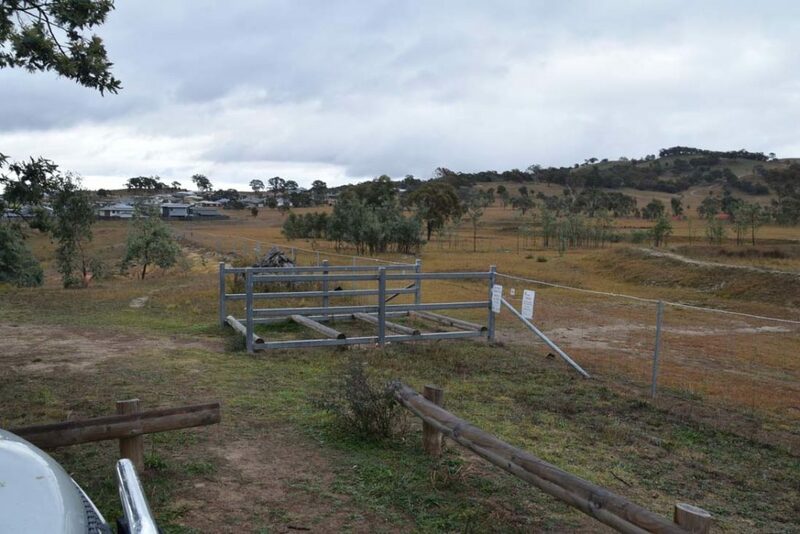 Trail head car park located just off Mulligans Flat Road in Forde. 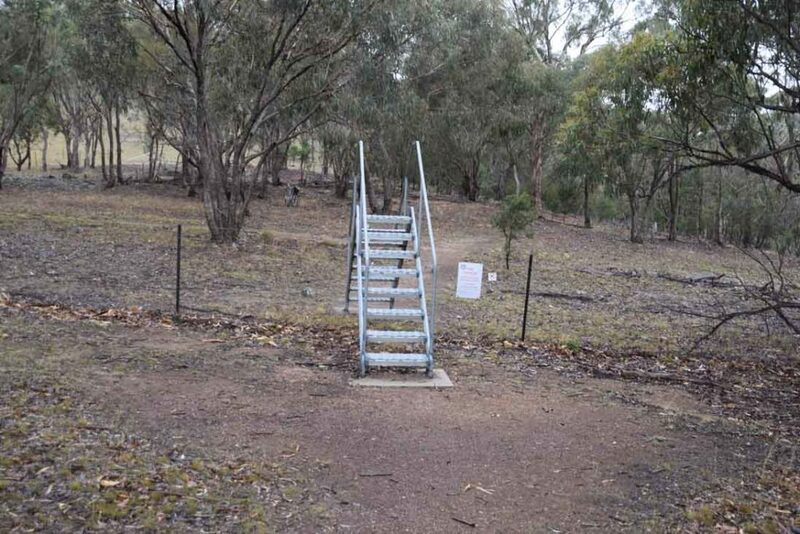 Access the trail start through the horse access on the left side of the car park…. 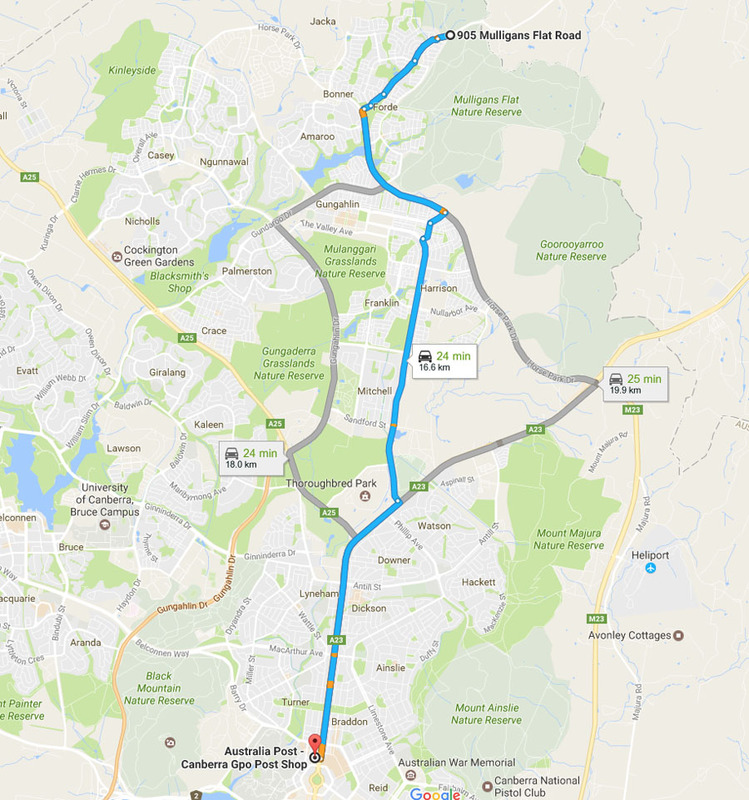 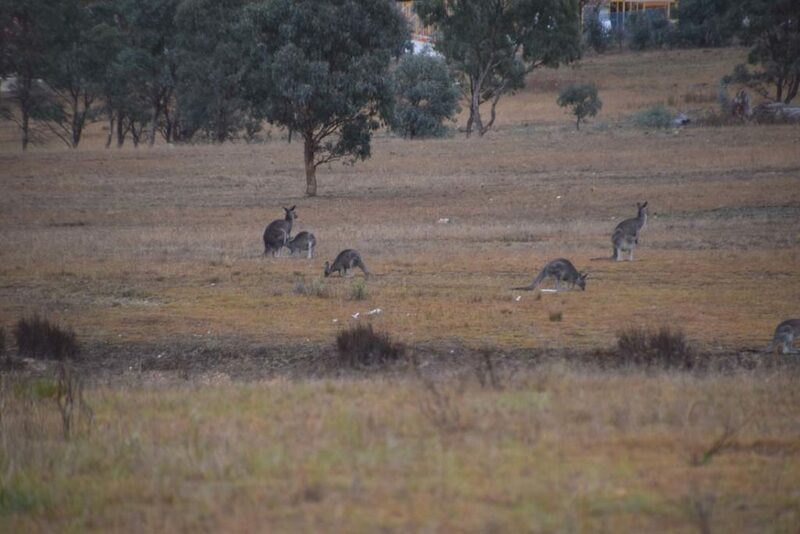 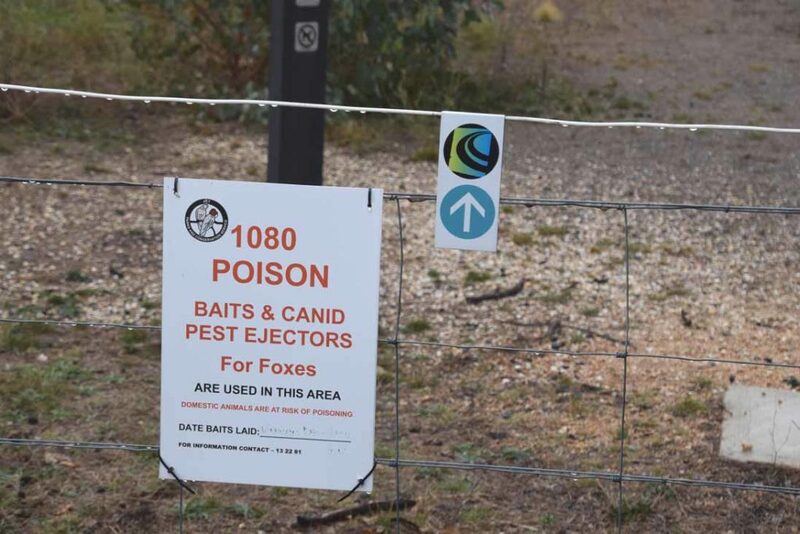 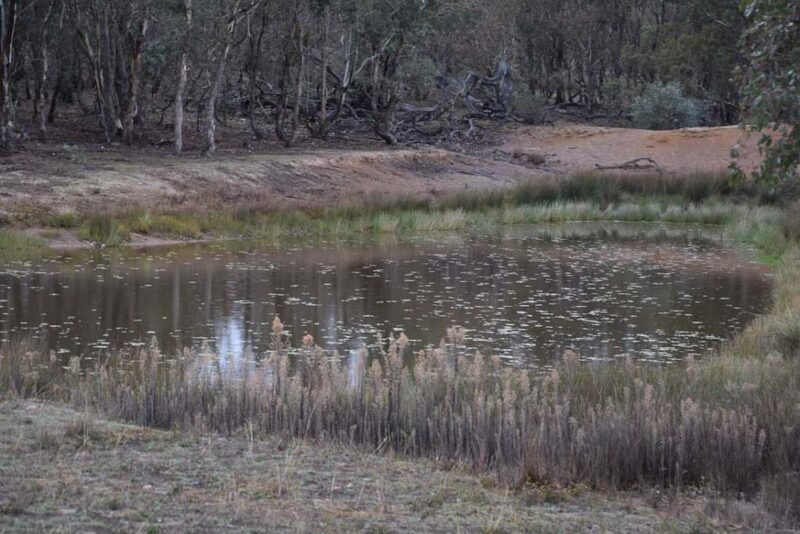 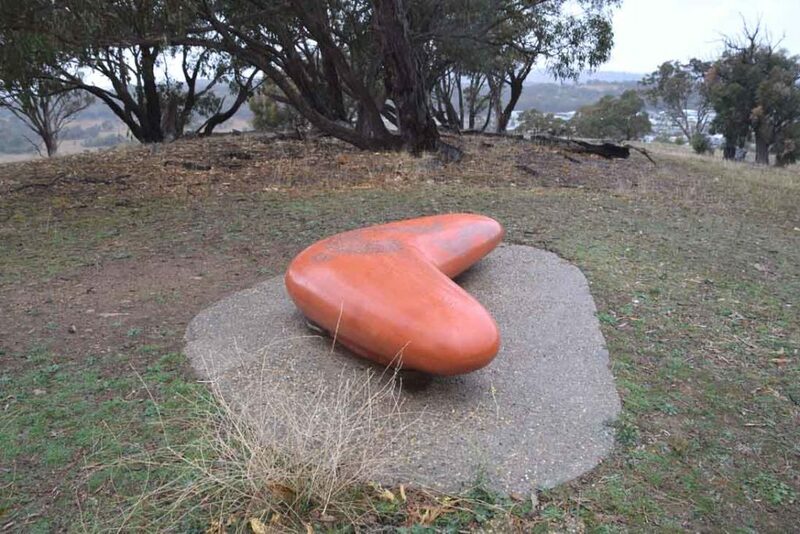 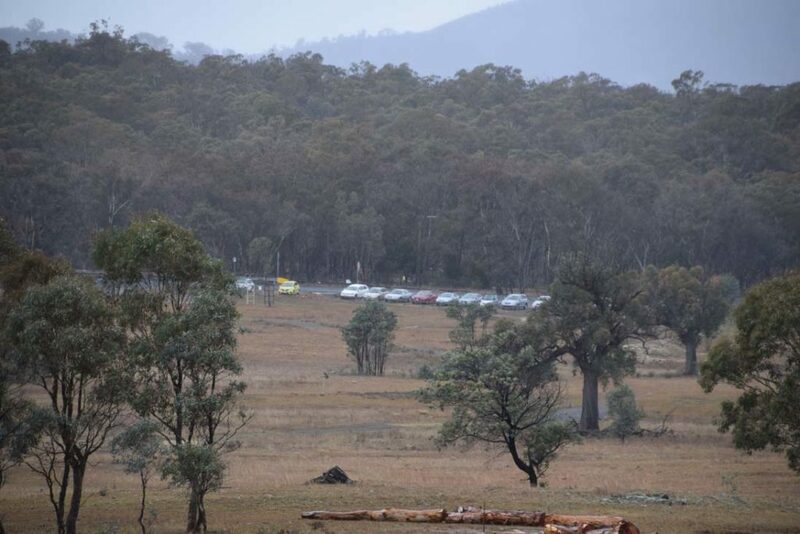 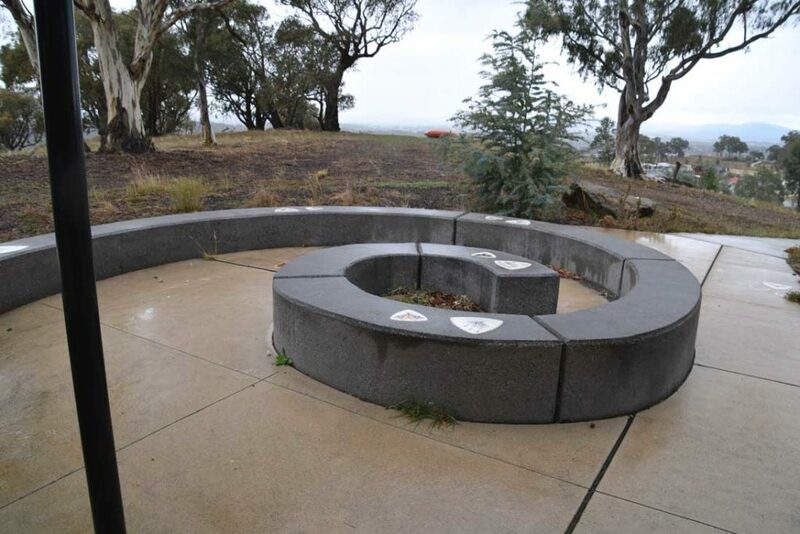 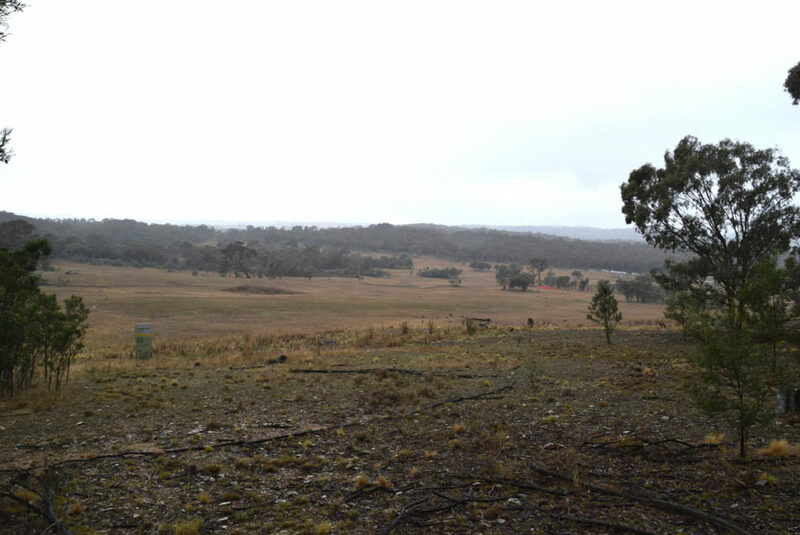 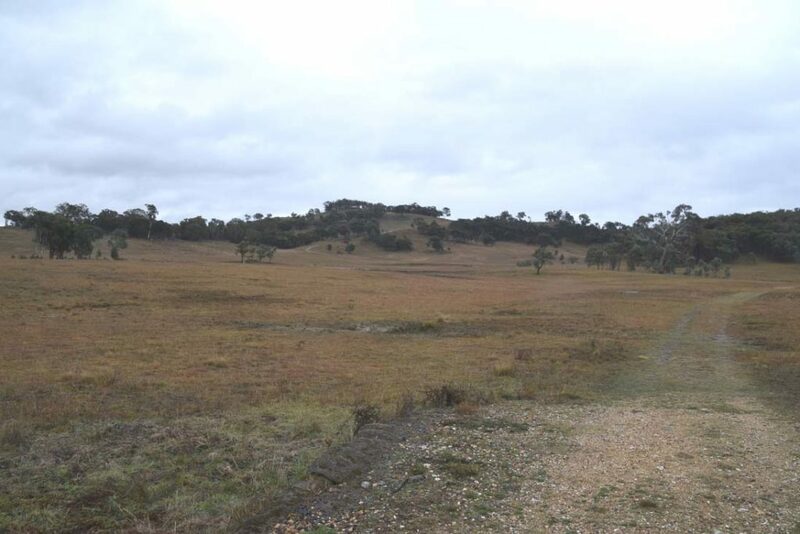 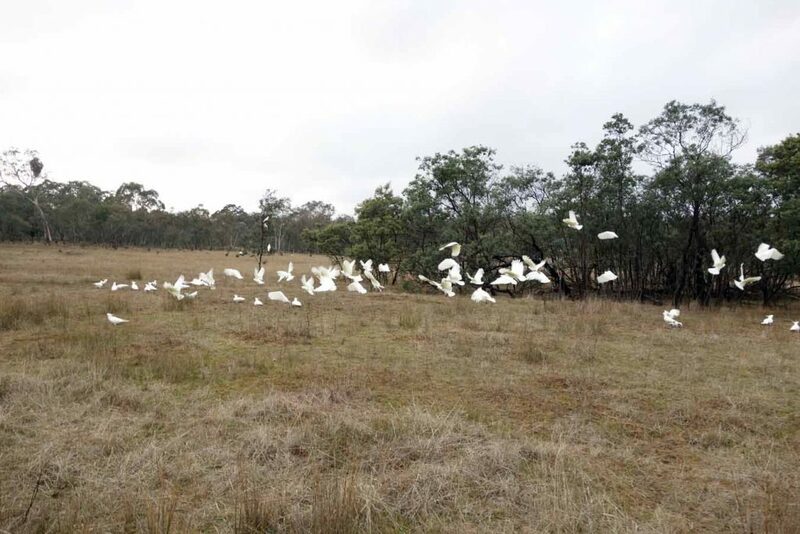 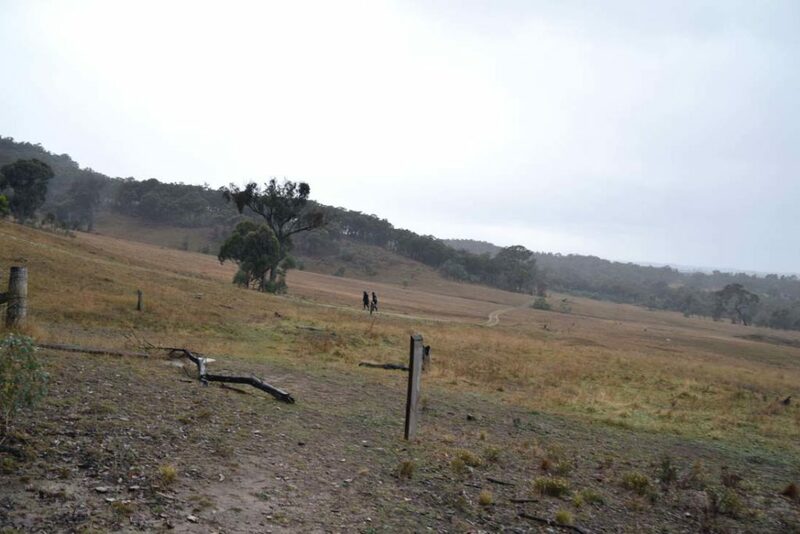 This short walk sits on the edge of the urban fringe on the northwest border of the Australian Capital Territory and is a guaranteed location to see Kangaroos without travelling out of the city itself if you have overseas visitors. 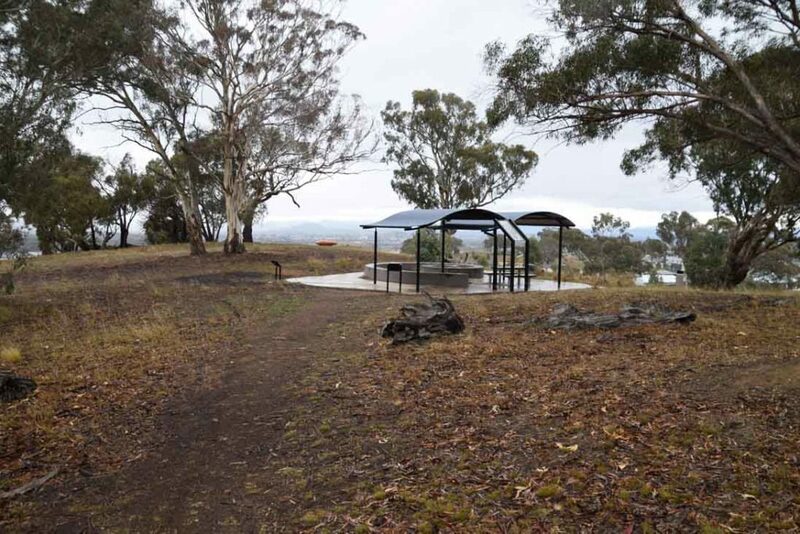 The walk starts at the trail head car park just off Mulligans Flat which is also the start point for the Border Walk and the Northern Campground Walk. 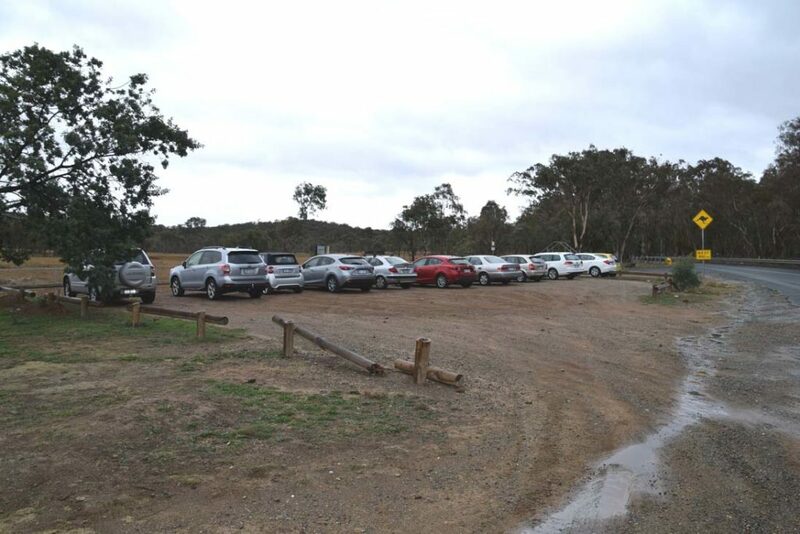 The carpark is easy to access but as these walks are very popular arrive early in the day or expect to park along the road. 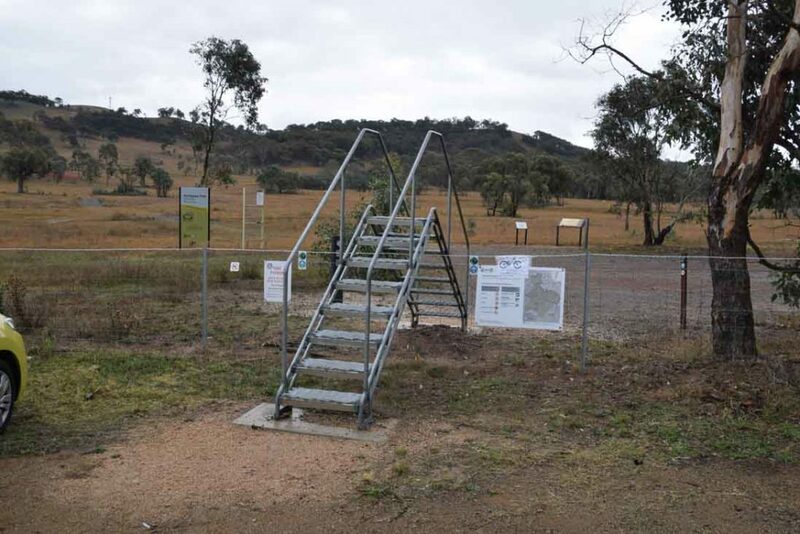 Enter the reserve itself by one of two access points and read the trail head signage that explains the walk. 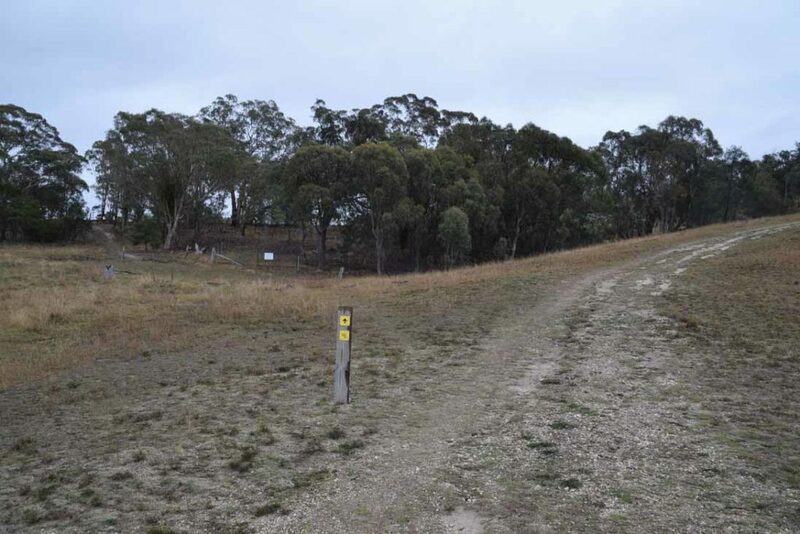 Head up the trail towards the hill following the yellow trail markers. 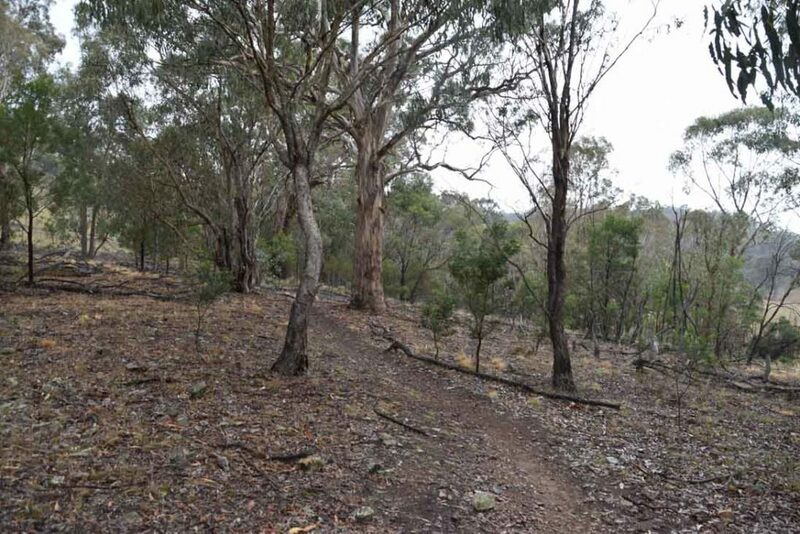 Just before you hit the steep section of hill you will be directed off towards a trail to the left. 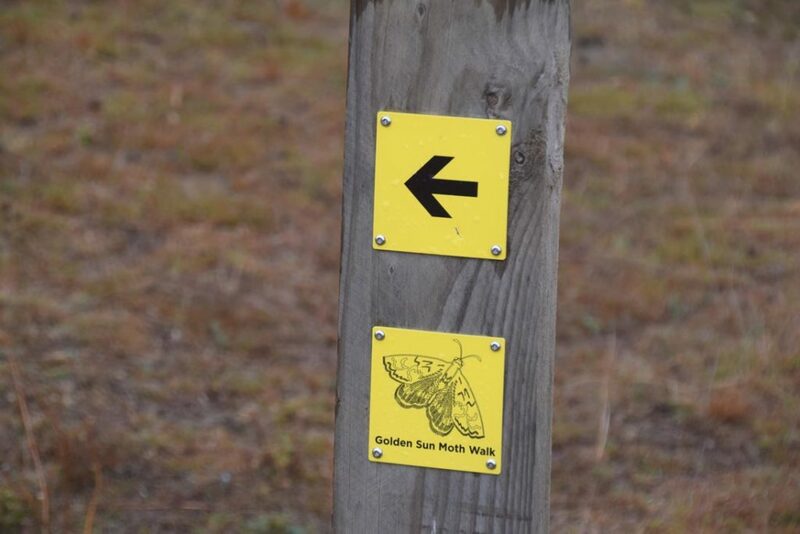 The high point of the trail is not far past this point and this is where you will find a picnic area with a large amount of interpretation signage on the Golden Sun Moth. 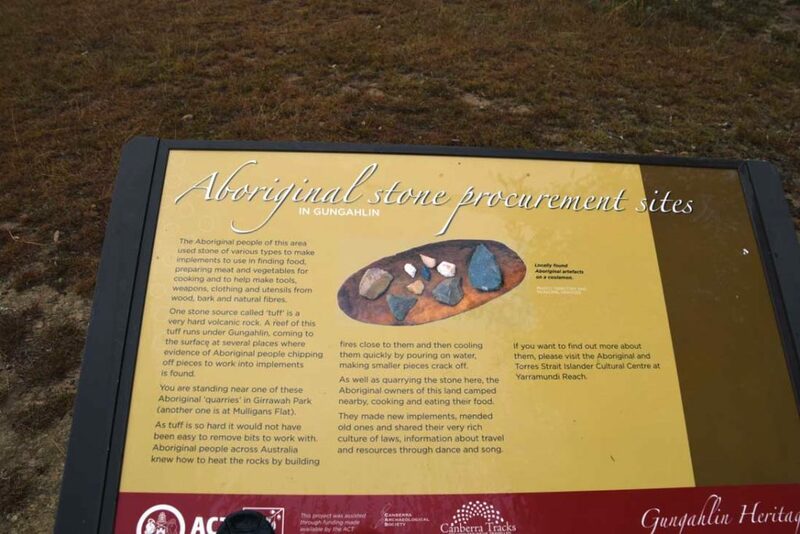 Take the time to have a break and to read the signage in this area before turning around and heading back down the way you came. 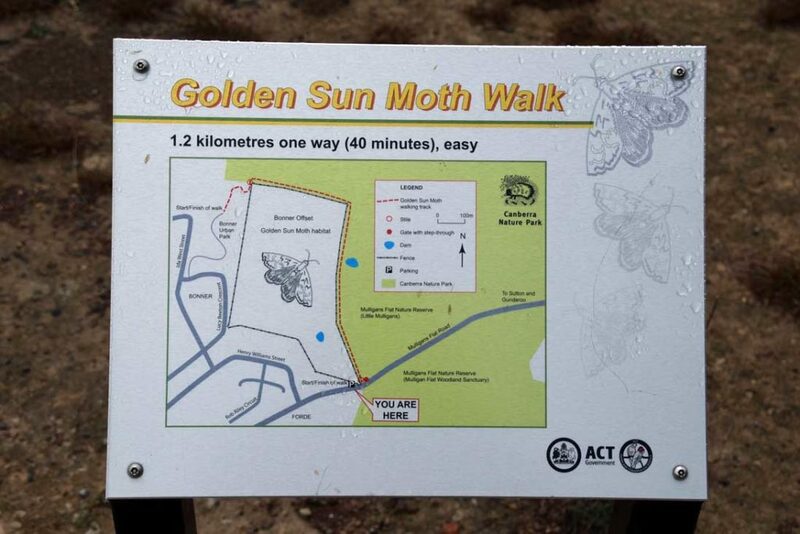 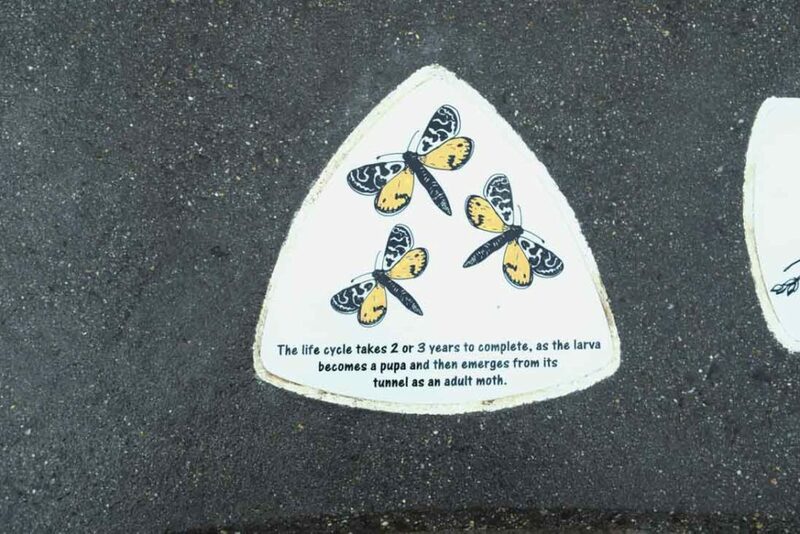 If you really want to see Golden Sun Moths then do this walk in summer when its not raining. 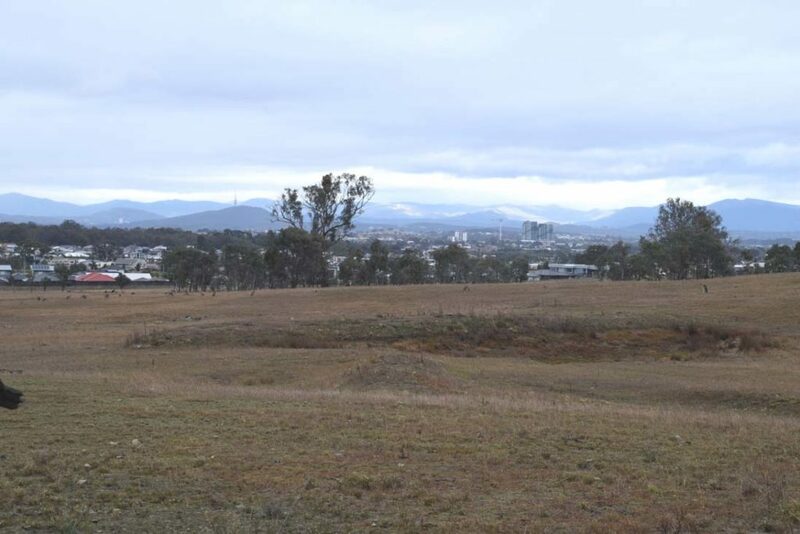 The views over this northern part of Canberra back towards the city are very good and while you wouldn’t describe this walk as challenging it’s a good little walk just the same. 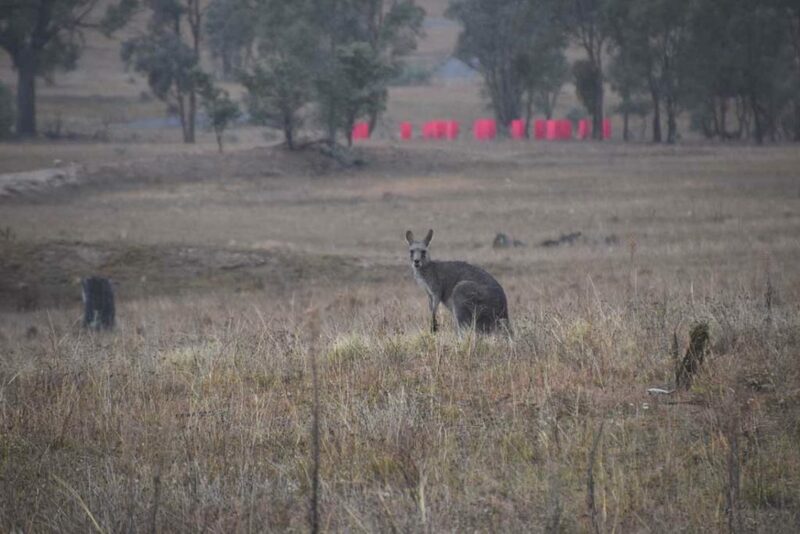 If you have young children or non walkers with you then its a great option given the distance and the guaranteed Kangaroos. 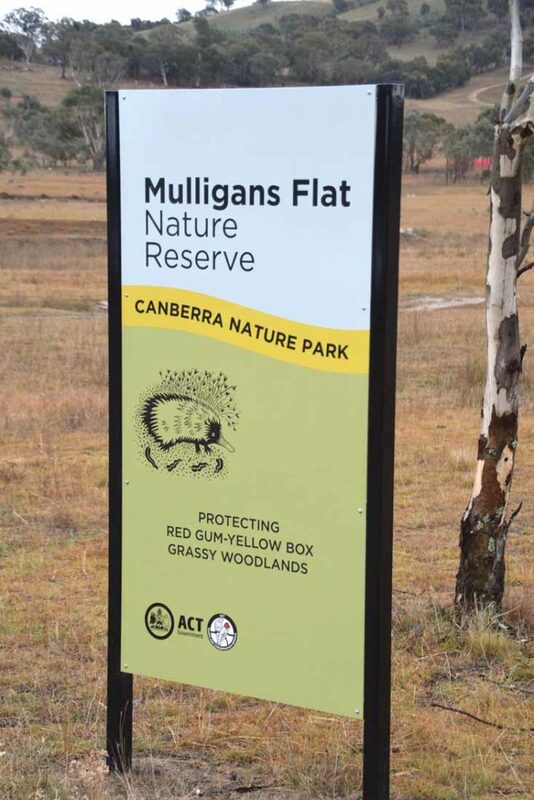 As close to the urban fringe as this walk is I still love this part of Canberra.